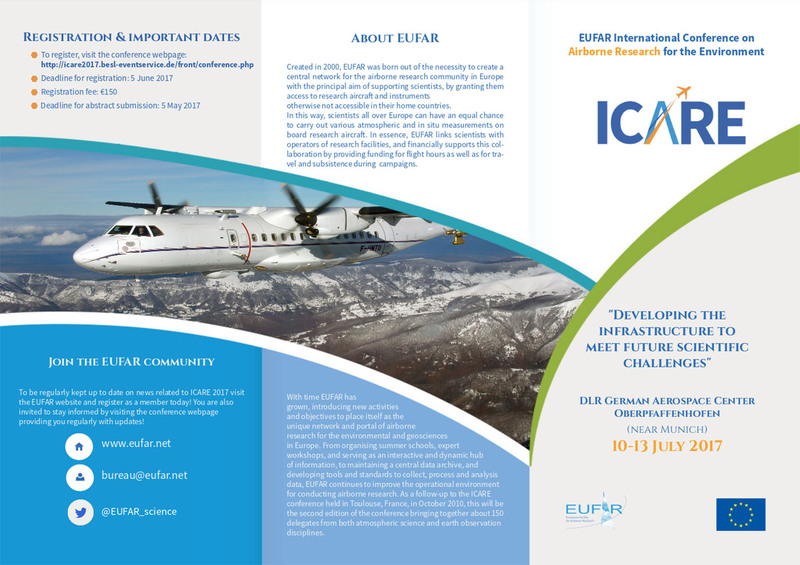 EUFAR - Great success of the ICARE 2017 conference! 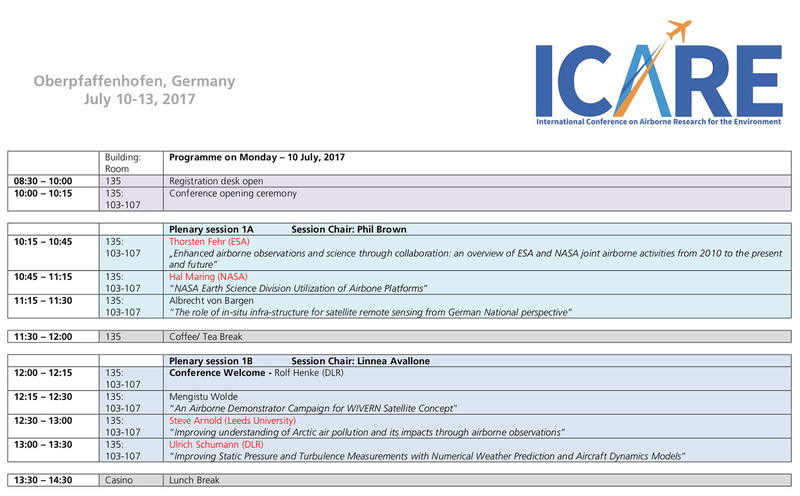 Great success of the ICARE 2017 conference! 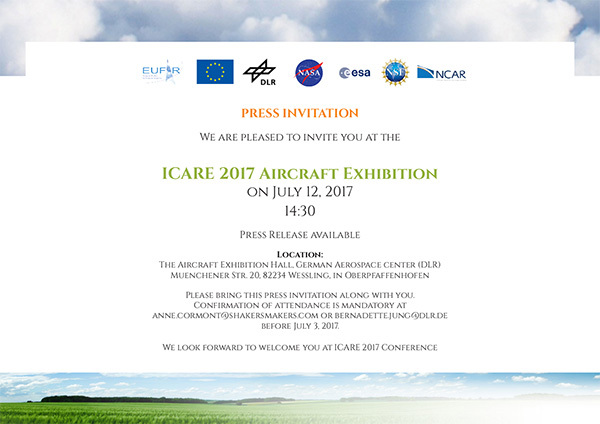 The 2nd International Conference on Airborne Research for the Environment (ICARE 2017) was held at DLR - the German Aerospace Research Center, in Oberpfaffenhofen near Munich (Germany), from 10 to 13 July 2017. 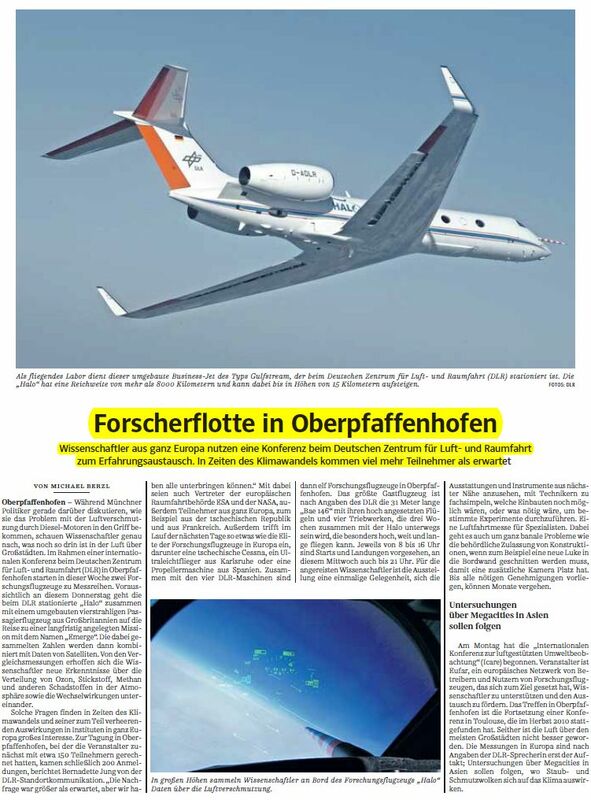 The conference was organised in collaboration with the airborne research community in the USA, including both NASA and the National Center for Atmospheric Research (NCAR). Mainly funded by EUFAR (under the EC's FP7 Framework Programme), the conference also received significant in-kind contributions from DLR. 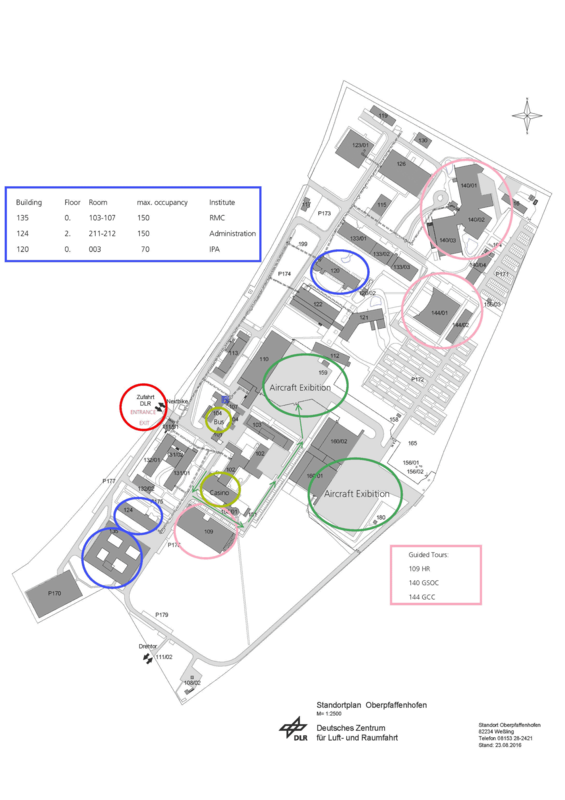 The European Space Agency (ESA) provided funding to support the attendance of a number of early-career scientists. "Developing the infrastructure to meet future scientific challenges" was the theme of this 4-day event. 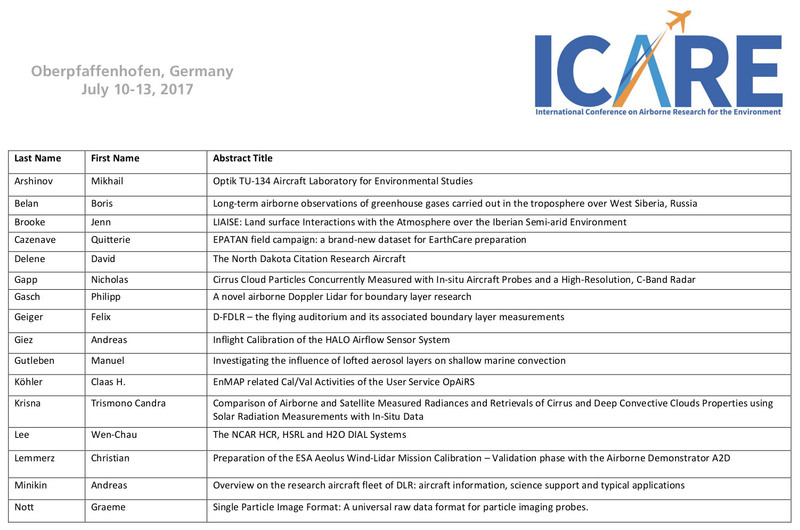 More than 175 leading participants across Europe, the United States and beyond, including expert scientists, aircraft operators and instrument developers have made this event a great opportunity to exchange expertise and experience and review the scientific issues for future airborne measurements. The program included a total of 20 invited and 41 contributed presentations with a further 25 posters presented during a dedicated session. 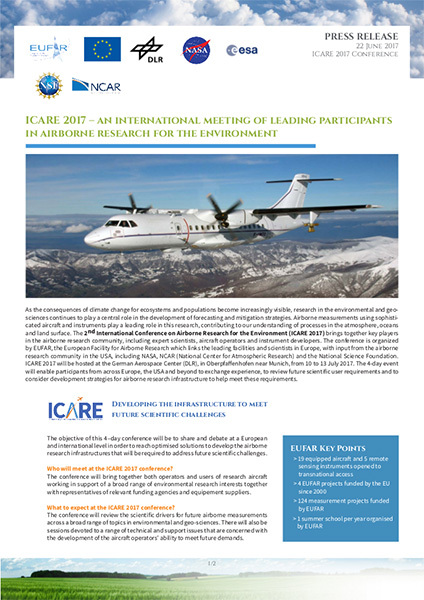 ICARE 2017 conference was a great success thanks to the wide participation within and beyond Europe, high level of airborne research expertise, good weather for the aircraft exhibition and impeccable service rendered by DLR, the hosting organisation. We are looking forward to bringing together again key players in the airborne research community. Thank you very much for your participation and see you all in a future 3rd edition of ICARE ! For more information, register as a EUFAR member or contact bureau@eufar.net.